I can't say I have an attachment to the PLANET OF THE APES franchise, but when I found out James Franco would be starring in a prequel/reboot, at least my interests were a little picked. And then the trailer hit. I'm not sure what I was expecting, but I really didn't think the movie would basically be summarization, give or take a few details. The trailer does show off a lot of good effects and a good amount of suspense and horror. Head on over to Apple's Quicktime trailer site for a look at the upcoming movie. 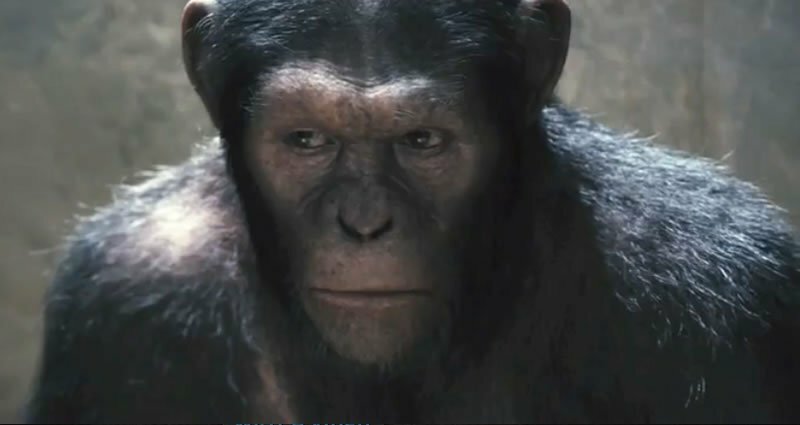 RISE OF THE PLANET OF THE APES comes out August 5th, 2011. It's directed by Rupert Wyatt and stars James Franco, Freida Pinto, John Lithgow, Brian Cox, Tom Felton, and Andy Serkis.